Obituary for Henry Theodore "Ted" Wilson | Thomas Funeral Home P.A. Henry Theodore “Ted” Wilson, 82, of Cambridge passed away on Thursday, November 29, 2018 at his home. He was born in Cambridge on December 11, 1935 and was a son of the late Henry Clayton Wilson and Edith Seward Wilson Henry Whaples. He graduated from Cambridge High School class of 1953. Mr. Wilson attended UNC Chapel Hill. 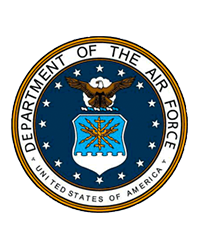 He served in the U.S. Air Force, where he was stationed in Germany at Frankfort Air Force Base. On August 4, 1963, he married the former Barbara Spedden. 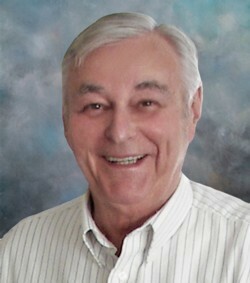 Mr. Wilson worked at County Trust Bank in Cambridge and retired from Maryland State Bank Department in 1991. He enjoyed traveling throughout Europe, British Isles, Canada, South America, Caribbean and the United States. Mr. Wilson was a member of Zion United Methodist Church, Dorchester Center for the Arts, past member of Dorchester Historical Society, Cambridge Rotary, Dorchester Ruritans, and the Cambridge Yacht Club. He is survived by his wife Barbara Spedden Wilson of 55 years, cousins Mary S. Fogarty (John), Cynthia E. Parker (Jack), John Seward and numerous nieces and nephews. A graveside service will be held on Tuesday, December 4, 2018 at 11 am at Spedden Seward Cemetery with Rev. Mary Ann Farnell officiating. Memorial contributions can be made to Zion United Methodist Church Endowment Fund, 612 Locust Street, Cambridge, MD 21613 or to Baywater Animal Rescue, 4930 Bucktown Road, Cambridge, MD 21613. Arrangements are in the care of the Thomas Funeral Home, P.A. in Cambridge.